This study illustrates different practices of knowledge co-construction by exploring argumentation processes from its (1) cognitive, (2) affective, and (3) moral dimensions (respect), and by clarifying the meaning of cooperation and collaboration, terms that are commonly used as synonyms. The authors adopted a critical constructivist approach consistent with the cognitive and moral works of Habermas (1987) and Piaget (1977, 1932/2000), and refined a method of online argumentation analysis (Campos, 2004) to better understand knowledge co-construction in the context of electronic conferencing in university courses. Their data analysis focused on the form as well as on the content of online argumentation. Results concerning the cognitive dimension of online discourse confirmed previous studies. However, regarding the affective and moral (respect) dimensions of online discourse, results were less clear. 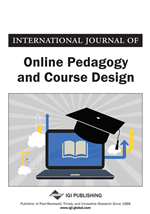 The authors highlight that the technology, the course design, and the instructor’s actions are equally important to successfully achieve set goals in online learning communities. During the past 15 years, many researchers in higher education explored networked communication systems such as electronic forums. Although a number of them tried to find evidence, based on mathematical models, that discussion forums can enhance learning (Jeong, 2006), results are far from clear. Thus, our team of researchers decided to highlight multiple contexts of “virtual conversations” by exploring the argumentation processes beyond quantity and logic - the cognitive dimensions of discourse. This exploratory study illustrates different uses of electronic conferencing in higher education by focusing on the pragmatic dynamics that triggers the application of both logical (the form expressed by reasons upon which arguments are based) and meaning systems (the content of the interactions that are expressed by affective and moral feelings). Given the difficulty of obtaining data from pedagogical experiences making use of discussion forums (ethical review committees request that researchers obtain consent from the totality of students, instructors and teaching assistants involved in the courses, that is not easy nor straight forward), we were unable to get a significant set of university courses. The courses presented in this paper explore different experiences worth examining among courses from which we obtained informed consent from all participants. When people get involved in the online communication processes, it is commonly said that they “collaborate.” Thousands of articles have already been published about “collaboration,” but the meaning of this term is rarely defined. In this research, we highlight argumentative experiences in which participants of university courses exchange in writing, with a view on collaboration as defined later on. We start this article with a brief discussion about communication processes, and under which circumstances “collaboration” do arise in online argumentation. Our theoretical approach lies on the theory of society developed by the German philosopher Jürgen Habermas (1987), that we deem consistent with the moral theory conceived by Jean Piaget (1932/2000), as discussed by Freitas (2003). Based on a critical constructivist interpretation of how people interact on discussion forums, we developed a conceptual solution, by weaving the authors, to clarify the reoccurring confusion made by researchers between the difference of cooperation and collaboration. It is not rare that these terms are employed as synonyms because no clear line is drawn to separate them. The general confusion about cooperation and collaboration is related to a contemporary trend that allows researchers to mix up “theories” that, most of the times, are sub-sets of real theories (for example, “theory of mental models” as a subset of the “information processing theory”). Worse, they are often epistemologically inconsistent. One example of epistemological mess can be found among socio-constructivist researchers who believe that classic cognitive approaches (such as the information processing theory) can be integrated to situated ones. Although old, a very interesting debate on the criterion for science in education is the universality that is defended by cognitive psychologists working from the information processing perspective, versus the contextual particularity of those working from the social-constructivist approach. This discussion was presented in a series of articles published some time ago (Anderson et al., 2000; Greeno, 1997). No agreement was reached in this debate, but only promises that “maybe one day”… A decade has passed and, still, no epistemological compromise has been found between universalists and situationists. Maybe, such a solution is just impossible.